3 years ago today, my dad died. It was an awkward experience. I found out on Facebook from a friend of his who tracked me down to offer his condolences – I didn’t even know my dad had passed. I hadn’t heard from him in weeks. His phone had been shut off, which was a fairly normal occurrence. My dad wrestled with a drug and alcohol addiction that had brought him in and out of my life since I was a kid. It had finally killed him. That was how it ended, but that wasn’t the whole story. An absentee, drug-addicted dad is a caricature. My dad was a real and complicated person. He was incredibly personable, a fantastic communicator, and an excellent coach. He was a dreamer who pushed others to dream big dreams. He believed in the power of positive thinking- even if he was tortured by his own self-doubts and shame. He inspired people better than anyone I have met. And I was one of the people that he inspired most- even if I was also one of the people that he hurt most deeply. I have no doubt that my dad could have overcome his demons to live a longer, more fulfilling life. One that left an even greater legacy of hope and encouragement. But for one reason or another, he didn’t. He just couldn’t get his life off of the ground. I don’t say that to blame him- God knows he did not have it easy for a host of reasons. I say it because I am hopeful. I am hopeful, first, for me. Hopeful that I can get off the ground. Hopeful that I can be the master of the thoughts and patterns that haunt me. Thoughts that tell me that everything is bound to collapse around me; that if I’m not perfect, the people that I love will up and leave me; that I’m not qualified or good enough to be successful; that my soul can’t find rest. Those thoughts are lies. 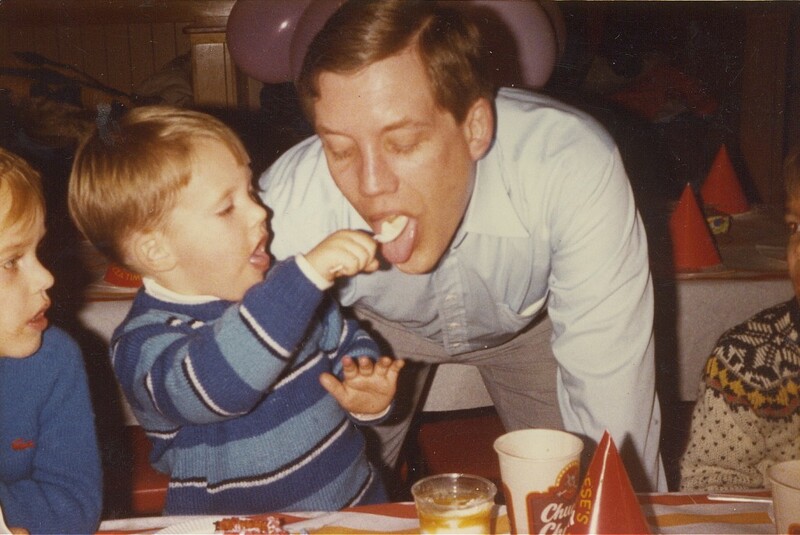 And really, the best tribute to my dad would be to vanquish them from my life. I am hopeful for this. I am hopeful that I can offer my wife and future kids a healthy and whole husband and father. That would likely be my life’s greatest delight. I am hopeful also for others; that they too can get off the ground. The day that my dad died, I received an email devotional from the Henri Nouwen Society entitled “Dying Well”. I had no idea that that same day I would find out that my dad had died. The words in that message were prophetic. I am hopeful that I can live (and die) for others. I am hopeful that my life- and to some small extent, this blog- can be fruitful for others. I’m hoping that my dad’s legacy will help get others off the ground- even if he could not himself.